Early in the morning and in the evening you are likely to see the bald eagles flying overhead or perched on the top of a tree overlooking the water while they wait to catch their next meal. 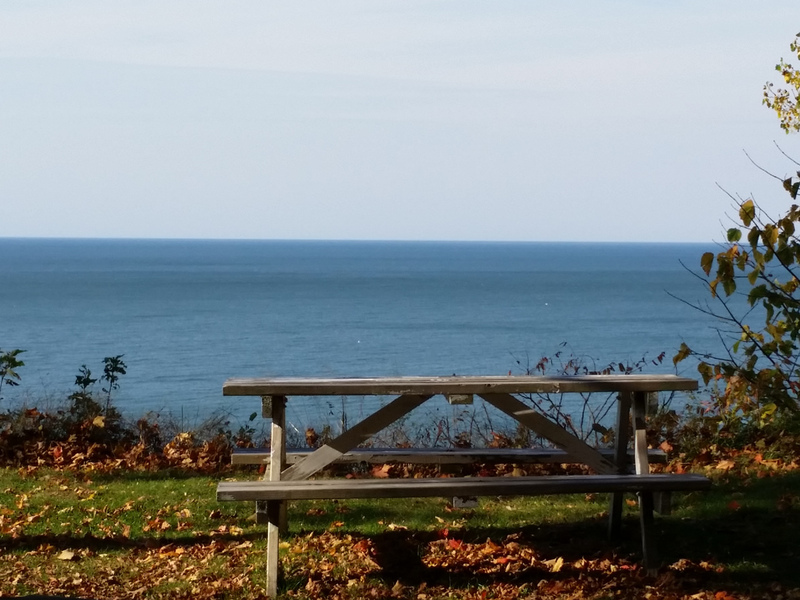 You might hear a hawk screeching in the distance along with the waves lapping at the Lake Erie shoreline below. 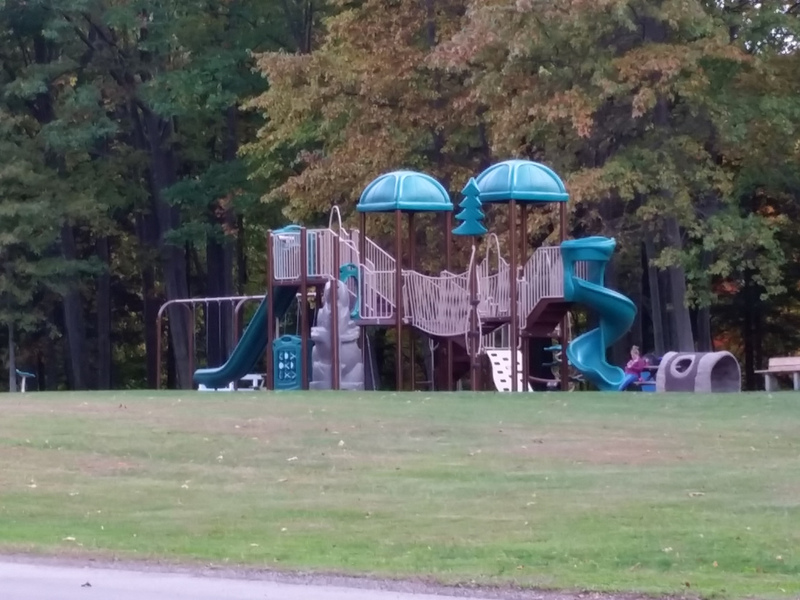 Most times you will hear the laughter and squeals of children playing on the new playground that was installed in August and September of 2014 thanks to the Erie County Greenways Program Grant received by the Township. Dogs and their owners get their exercise daily walking the throughout park while enjoying the view. Any clear evening you will find at least a dozen or more people watching the sunset from the unobstructed bluffs of the park. 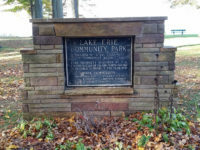 A place for the community to enjoy– that’s what Lake Erie Community Park is. 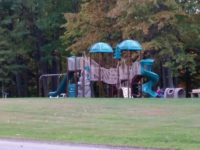 The Township has owned the 125 acre park since 1947 and has now taken full control of the park and its day to day operations. Over the years this beautiful lakefront property with almost a mile of lake shore had become more of a campground than a public park. 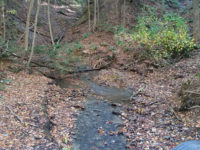 After Girard Township gained control of the park through a jury trial in February 2013, the cleanup began. The campers are now all gone, there are no decks or sheds or strings of Christmas lights between the trees. The restrooms are clean and OPEN, all new electric, water and gas lines have been run and improvements are being planned and made monthly for the residents and visitors to enjoy. There are pavilions that can be rented out for parties, wedding, graduations and the like. 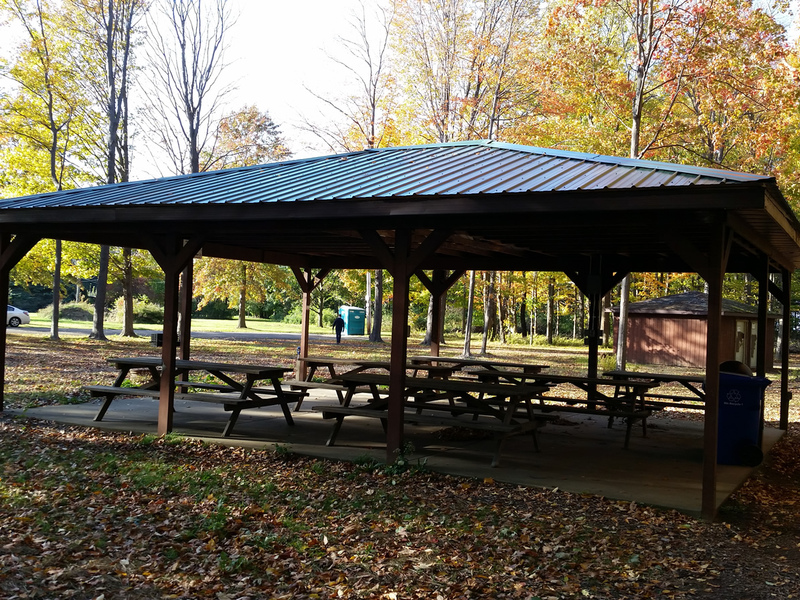 Charcoal grills are installed at various places throughout the park for your use as well as picnic tables. Click the buttons to the right to download the pavilion rental rules and application. 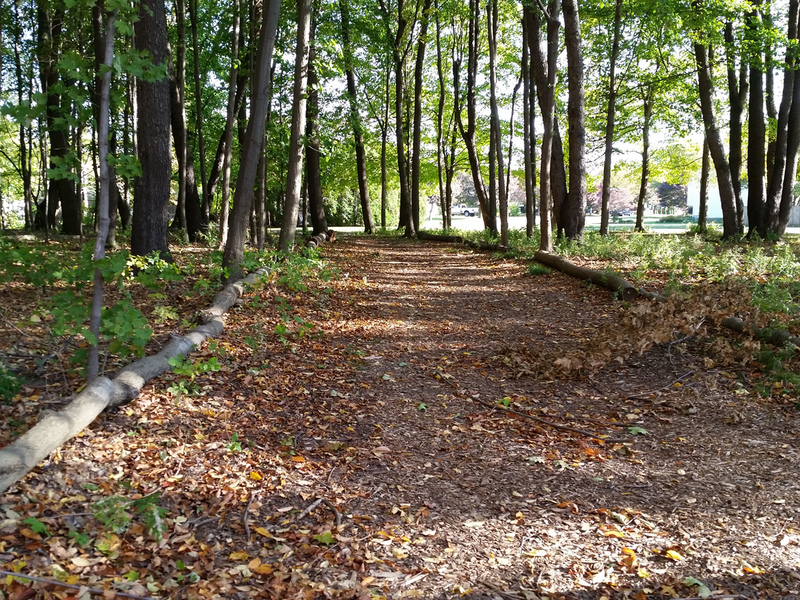 The Township has formed a steering committee comprised of local residents and concerned citizens to help guide the progress of the park. 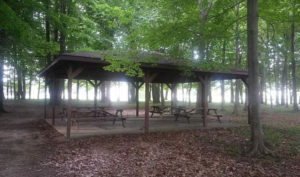 There are grants being applied for to help defray costs of projects at the park such as a trail to the lake, upgrades to the trail along Kelly’s Run and renovations to the bathhouses. Expansion of the playground, the addition of sand volleyball courts and horseshoe pits are in the works for 2015. Everything takes time and money. 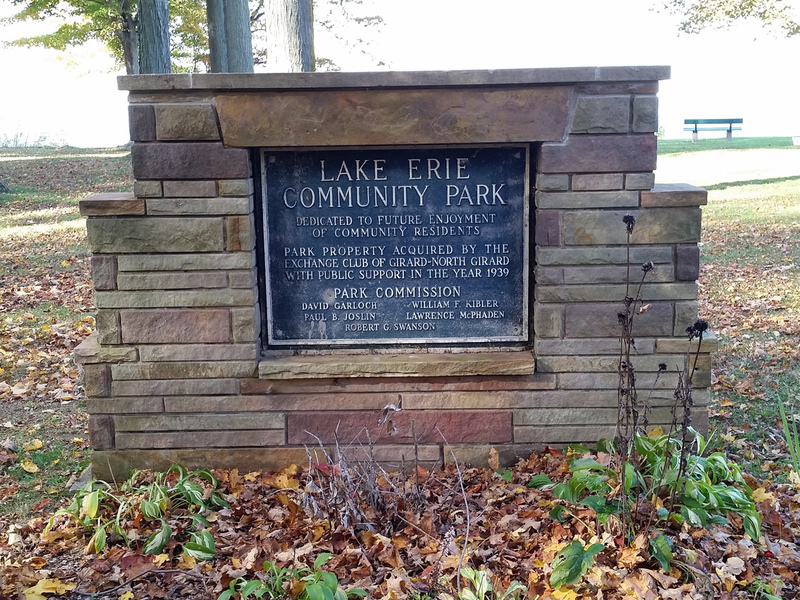 We hope that given both, Lake Erie Community Park will be a place for people to enjoy for years to come. This is pavilion #1. 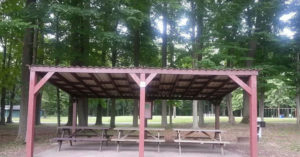 This will hold approximately 25-30 people, it will hold at least 3 picnic tables. 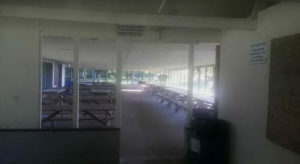 This is pavilion #2, the largest in the park and the most popular. It will hold approximately 180 people with room to spare. 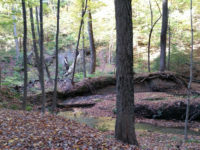 It is in the main part of the park. When arriving in the park, at the first stop sign take a left and follow it until you reach the pavilion on your right. 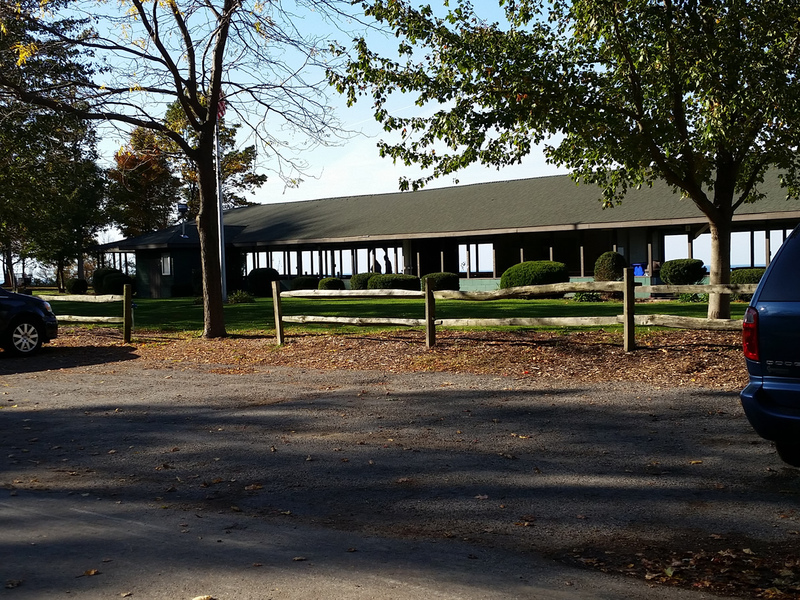 There is ample paved parking in front of the split rail fence in front of the pavilion including handicap parking. There is ample electrical boxes around the perimiter, electrical outlets in the entrance way above the counters, and over head lights. There are 2 charcoal grills, one at either end, outside the pavilion (bring your own charcoal). 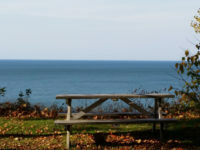 This pavilion offers beautiful views of Lake Erie and the Lake Erie sunsets. There are public restrooms directly across the park driveway with automatic lights, flush toilets and a sink. 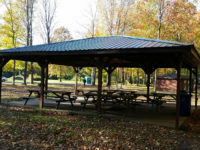 This is pavilion #3 in the West Park (at the end of West Park Drive). It will hold approximately 50 people. Take Rt 5 west past the main entrance to LECP. Vear to the right at the Elk Creek Sports Store. Turn right on West Park Drive and follow until you reach the end. 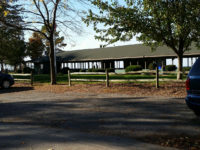 The park is on the east side of the road and the pavilion is on your left with the green metal roof. There is only one electrical outlet inside the pavilion. There are two additional outlets on the block bldg that used to be the restroom. There are no lights in the pavilion. There is an ADA porta john at the end of the parking spaces for your use. 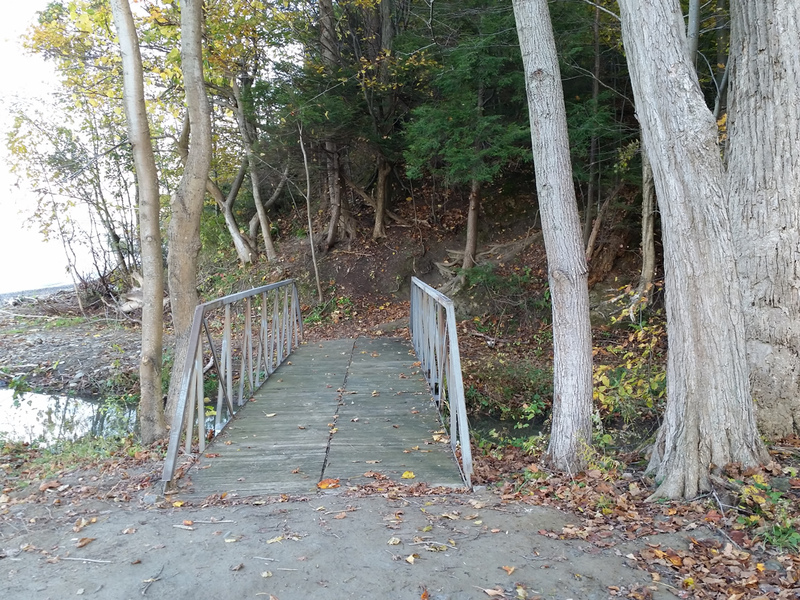 A newly created path leads you from this area down to the waters edge. 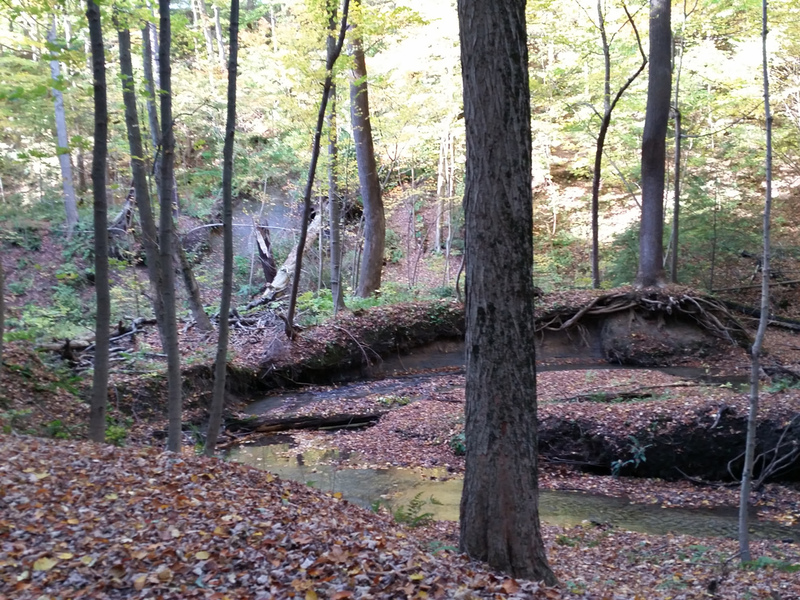 The path does get steep at the bottom so use caution. 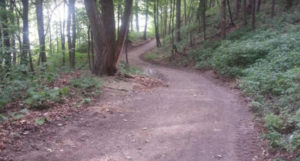 There is also a path from West Park through the woods to the ball field that fronts Rt 5 in the large field. This is pavilion #4 in the West Park (at the end of West Park Drive). It will hold approximately 50 people. Take Rt 5 west past the main entrance to LECP. 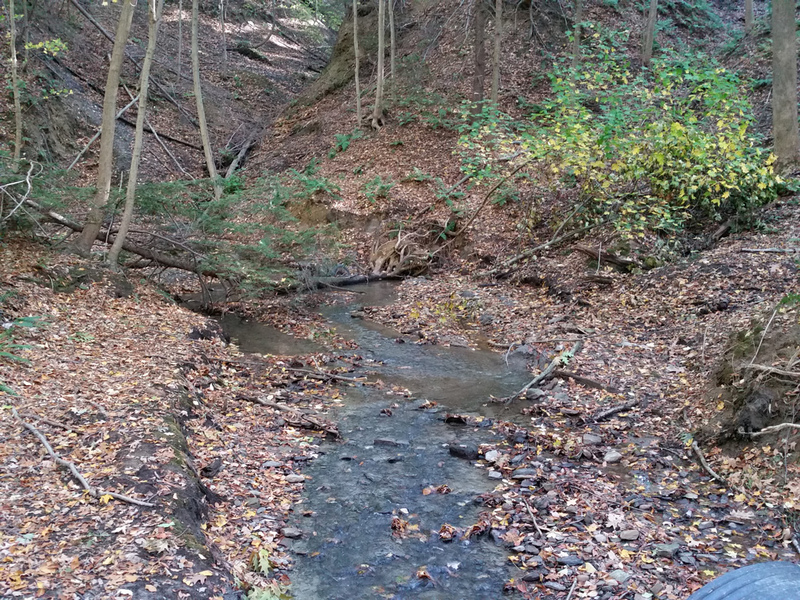 Vear to the right at the Elk Creek Sports Store. Turn right on West Park Drive and follow until you reach the end. The park is on the east side of the road and the pavilion is on your right with the mossy roof. There is only one electrical outlet inside the pavilion. There are two additional outlets on the block bldg that used to be the restroom on the side facing the green roofed pavilion. There are no lights in the pavilion. There is an ADA porta john at the end of the parking spaces for your use. 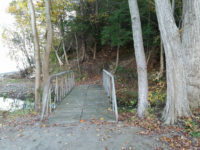 A newly created path leads you from this area down to the waters edge. The path does get steep at the bottom so use caution. 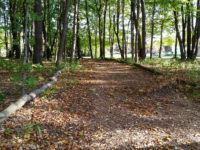 There is also a newly created path from West Park through the woods to the ball field that fronts Rt 5 in the large field.